If you are a Sharepoint Administrator, great. 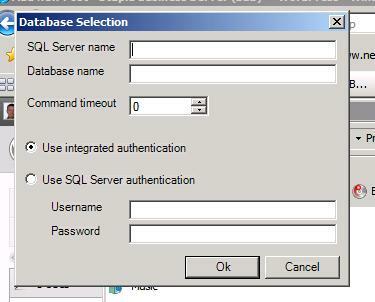 SQL Admin, awsome. If you know programming, sweet. But what about those of us that don’t know these things? What if you manage a small Sharepoint site, and don’t know the inner workings of SQL? Extracting content from a database backup after a restore can be a nightmare. I discovered this post and I had to put it here- this tool is rediculously usefull. Pascal Gill designed a small program with GUI which can be used to extract content from a sharepoint database, and it even keeps directory structure and subfolders. I also used it to extract a custom list with metadata so that I could put it onto my new site. Thanks Pascal! If you have any questions about what to fill in for the database name and server fields, please post here or on Pascal’s blog. This tool is not my creation, and I can not assure you of the files contents. I can however vouch for the validity of the program and code, as I have used it many times.